I think it might be useful to start a list of lessons I’ve learned by doing things the wrong way. I know I’ll remember these lessons the next time around, and hopefully if you hear my story, you will too. Lesson #1: Don’t plant things haphazardly. We threw things in the ground ASAP, not quite randomly, but not quite carefully, either. We did think, I promise. We just didn’t think far enough ahead. In this way, the tomatoes ended up just two rows from the salad bed. The salad bed is watered with misters that spray out very fine droplets of water, which are caught by the wind, which usually blows towards the tomatoes, which don’t like being wet. In this way, the squash are encroaching on the peppers, the cucumbers are being stepped on because they’re on the front section of a main row, and I practically trip on the ditch that is the potato row (which deserves a ‘ways not to farm’ post of its own–stay tuned) every time I try to get to the cilantro or parsley. As a sidenote, the problems I’ve encountered have given me creative ideas for the future. How about using beans as a shade for a salad bed? 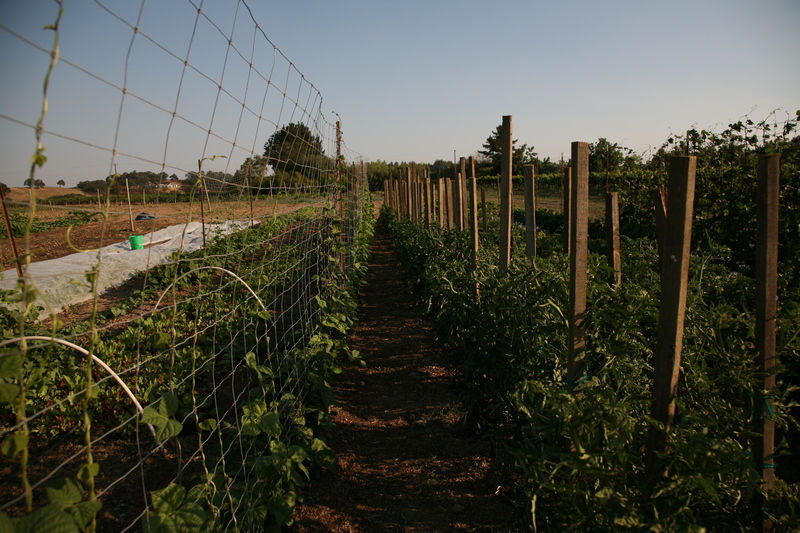 You could even trellis them into an arch just above head-height, so you’d have shade on the salad even at high noon, and you could pick the beans fairly easily, too. And that salad mister could be put to good use: next time, I’ll stick some water-loving plants next to the salad bed. Like arugula, or spinach, or kale or chard — not tomatoes.